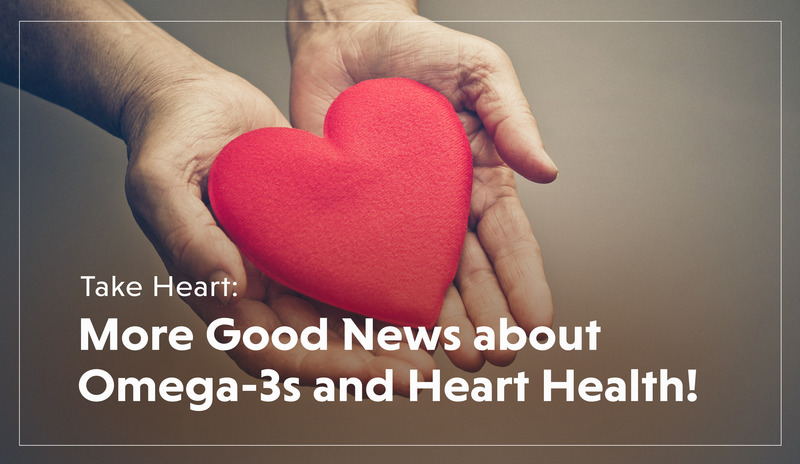 Take Heart: More Good News about Omega-3s and Heart Health! Over the course of several months, three studies enrolling almost 50,000 subjects (that’s a lot!) were published in the prestigious New England Journal of Medicine. In one fell swoop, these studies doubled the number of people who’ve ever been included in research on DHA, EPA, and heart health. The bigger the study, the more reliable its results, so this means the science on Omega-3s and cardiovascular health has gotten a lot stronger. GOED, the Global Organization for EPA and DHA Omega-3s, will be analyzing the data from all three studies together and publishing the results in a peer-reviewed journal sometime this year. We look forward to reading more about these exciting studies! In the meantime, keep eating your fatty fish and your flaxseeds or take a high-quality omega-3 supplement. Your heart will thank you. ASCEND Collaborative Study Group (Bowman L, et al.) N Engl J Med. 2018 Oct 18;379(16):1540-50. Bhatt DL, et al. N Engl J Med. 2019 Jan 3;380:11-22. Manson JE. N Engl J Med. 2019 Jan 3;380:23-32.